This isolated incinerator, visible from the rest area on the eastbound side of the Interstate, burns around 50,000 tons of solvents, paints, old chemicals, contaminated soils, and PCBs every year, which come by truck and rail to the facility from all over the nation. 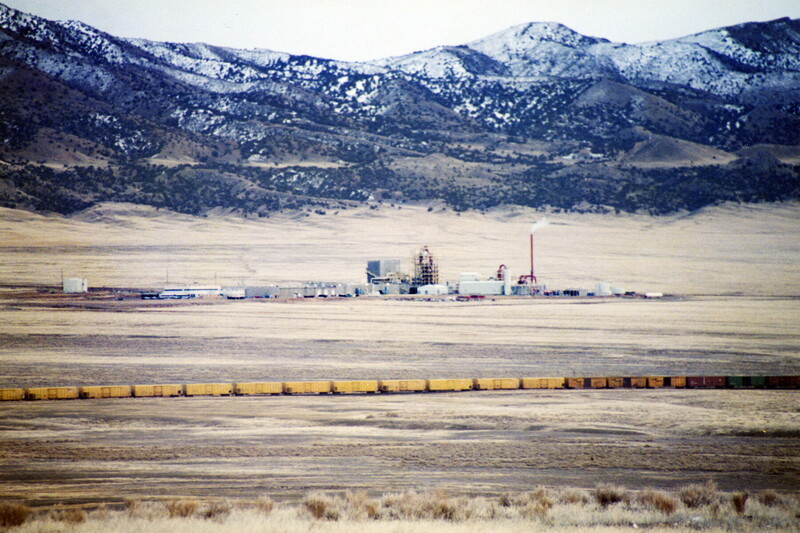 The incinerator, known as the Aptus Incinerator for a number of years, opened in 1991, after the county established the West Desert Hazardous Industries District, and invited companies to build waste sites in this special 100 square mile zone. It was the first major chemical incinerator to be built in the state. While operating continuously, it has been owned by a string of companies, including the Westinghouse Corporation, Rollins, and Laidlaw. Clean Harbors LLC bought the facility in 2002 when it acquired the nationwide assets of Safety-Kleen Inc. With nearly 50 dumps and incinerators, Clean Harbors, based in Braintree, Massachusetts, is one of the nation’s largest hazardous waste management companies. The facilty has been found in violation of numerous state and federal environmental regulations over the years, resulting in various fines and penalties.